Another Two Weeks of Building, Coding, Imagining! 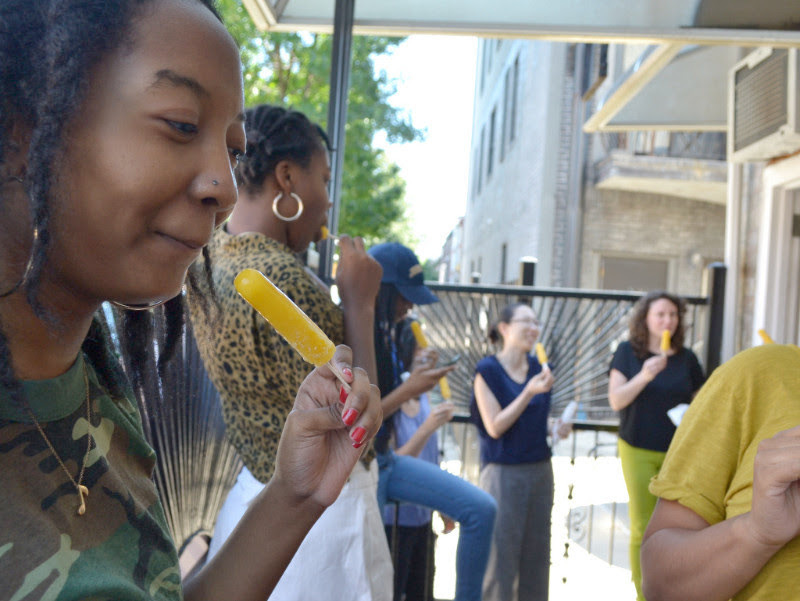 We’re more than halfway through Summer 2018, and it’s been flying by! These last few weeks have been full of coding, world-building, and art–and we’re excited to share it all with you now. Using the program Twine and HTML, we started coding story-based games. 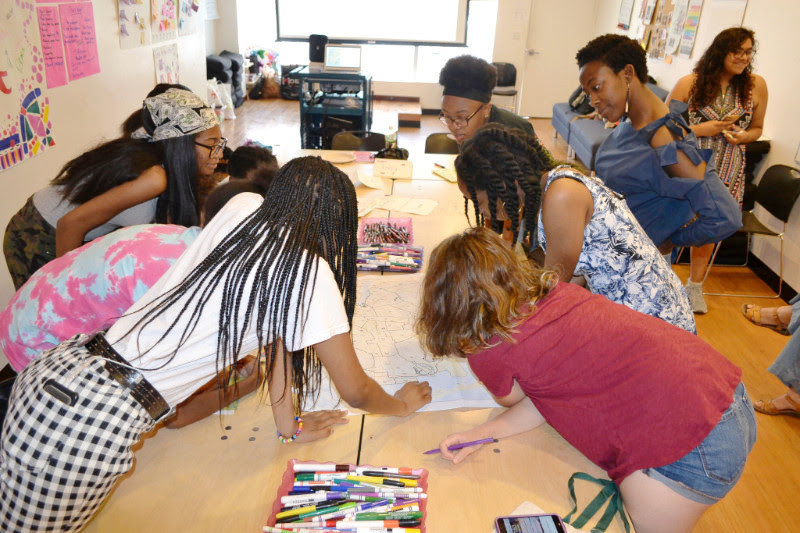 We got some help from guest teacher, Brooklyn-based product designer, Amélie Lamont. 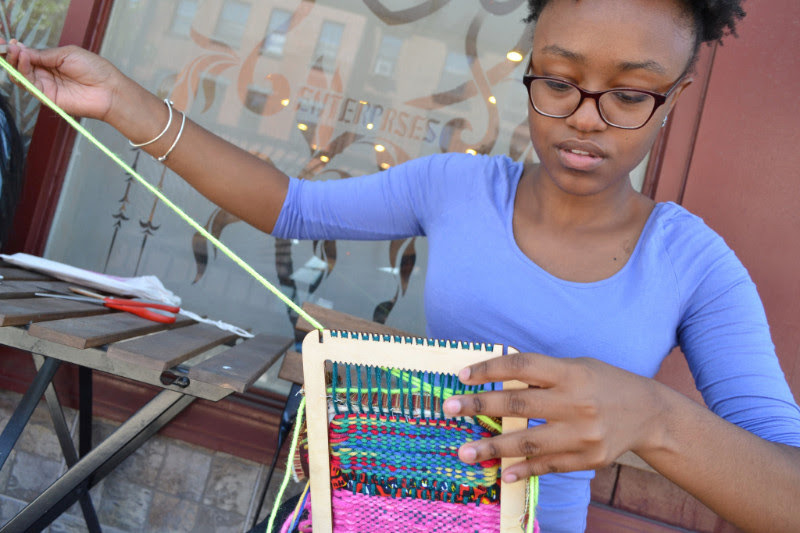 Then guest teacher Tyler showed us how to weave on a frame loom! We created beautiful tapestries that incorporated different materials, while learning about where each type of material comes from. With guest speaker Anaïs Duplan we learned about Afrofuturism (a genre of science fiction that Octavia Butler helped create!) and imagined our own futures. Guest speakers Andrea and Rocio taught us about the power of positive self-talk. Urban Planner Daphne Lundi lead us in a game about managing resources and planning for climate change. Then she had us collage what we thought future Brooklyn would or could be like! 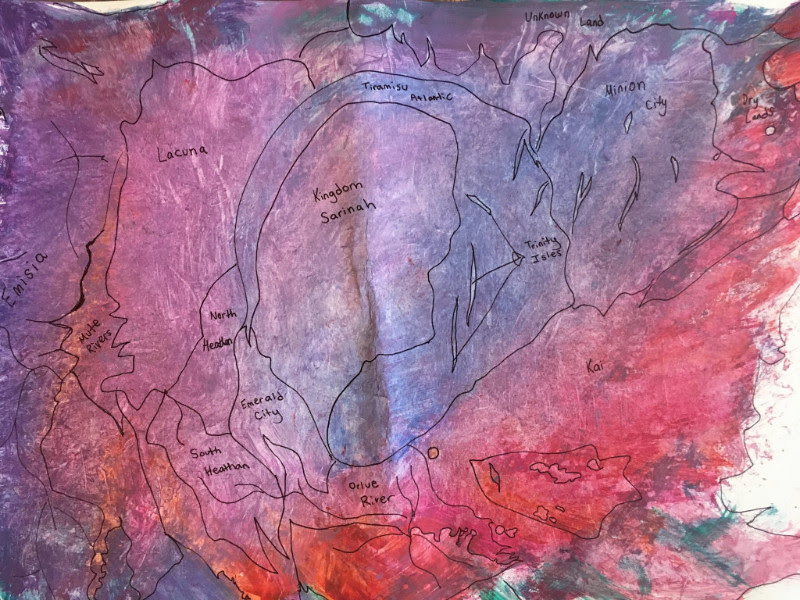 And, with paint and wax paper, we made emergent maps of our own fantasy cities and countries! 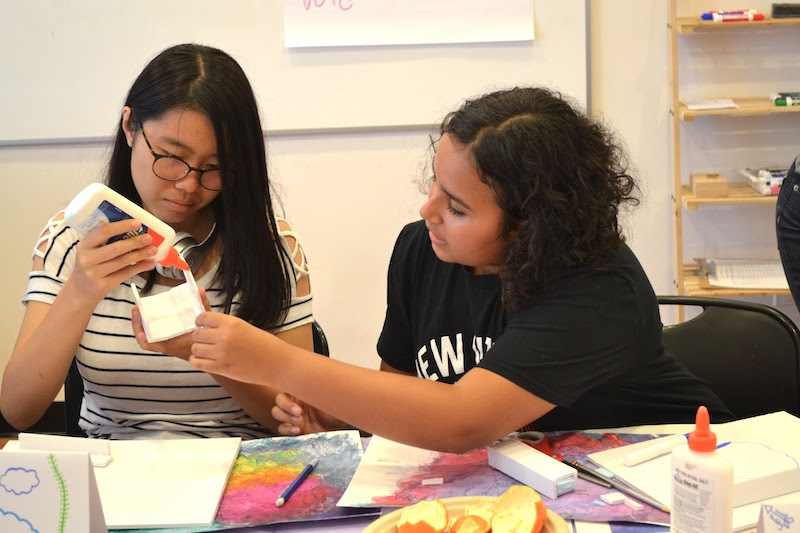 Finally, guest architects Mariel and Sydney helped us build 3-D architectural models based off our maps (and the collages, stories, and ideas that were inspired by them)! 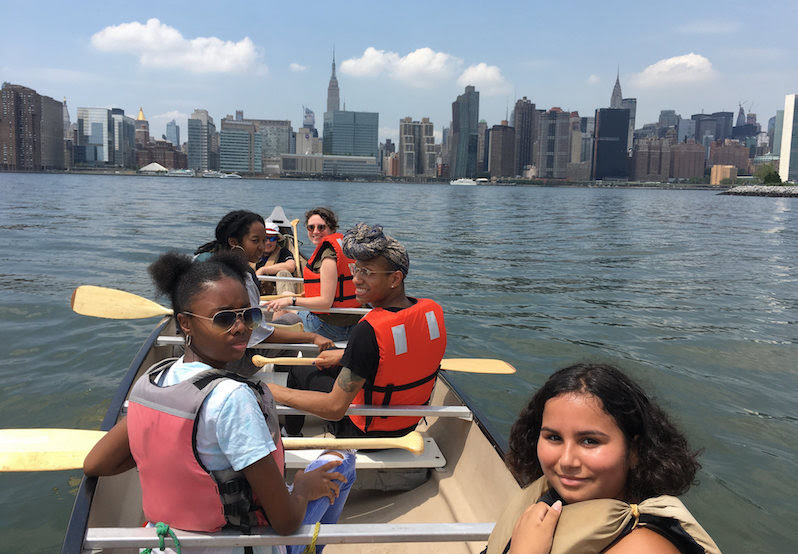 We closed out week four with a canoe trip up the Newtown Creek. For most of us, it was our first time in a canoe, and we couldn’t have picked a better spot–check out that view! The Octavia Project uses the creative power of science fiction to imagine new futures and greater possibilities for our world. 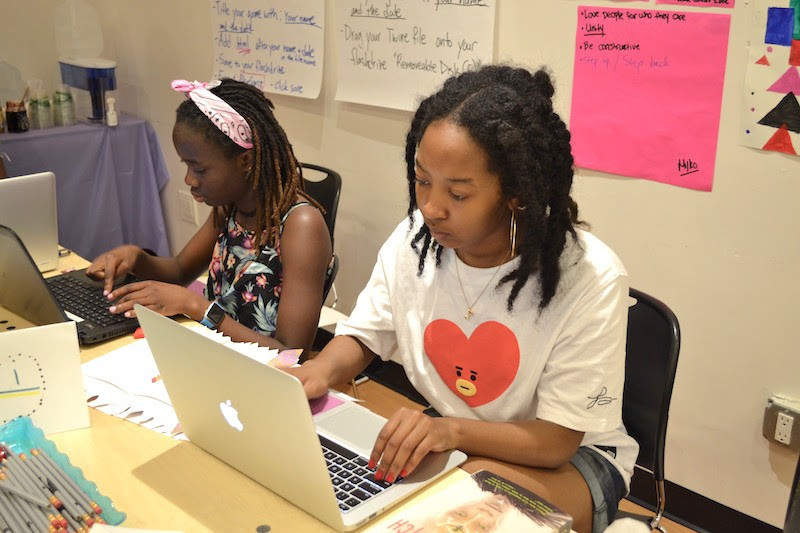 We create spaces of imagination for Brooklyn teens, blending creative writing, art, science, and technology to create rich, interdisciplinary workshops that encourage critical thinking, build confidence, and develop skills in a myriad of subjects. « Previous: The Start of An Amazing New Summer!